Home Applications Business Photos User Stories Instagram War – Android Ruining iPhone Society Comfort? 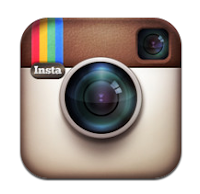 Instagram War – Android Ruining iPhone Society Comfort? Since the very moment Instagram finally became available for Android users too, the iOS society has begun a tweet war against newbies in Instagram society. The rift between iPhoners and Androiders was highlighted by “but that was OUR app!” tweets and soon blew the whole internet space. Much of iPhone users complained that Android users appeared in their Instagram feed, while more even made more radical announcements, by warning Android users not to connect with them on Instagram if they used Google’s mobile OS. Being nominated as Apple’s favorite app, Instagram developers said that the app performed much better on Android than on iOS. Since Instagram was considered as an Apple’s exclusive app, but it seems that we forgot one thing- the app is a third-party one, and the developers owe us nothing… So they are free to do whatever they want with their app. And one more thing… why don’t we just welcome our Android friends to Instagram society? Instead of barking that they ruin our comfort, let’s just persuade them that we can take awesome photos, much better than they do, that iPhone camera is more functional than those of their smartphones, and prove that they should all move to iOS one bright day! If you disagree, do not hesitate to have your say below in the comments.